I added item 14, Taking pictures of the ones you love. It is easier said than done. Emotions come in play. That been said, I can't emphasize enough the importance to capture their essence. The images may not become fine art but will likely be the most cherished. Know your camera, there is no substitute. Know your software, there is no substitute there either. The rule of third is a good rule. 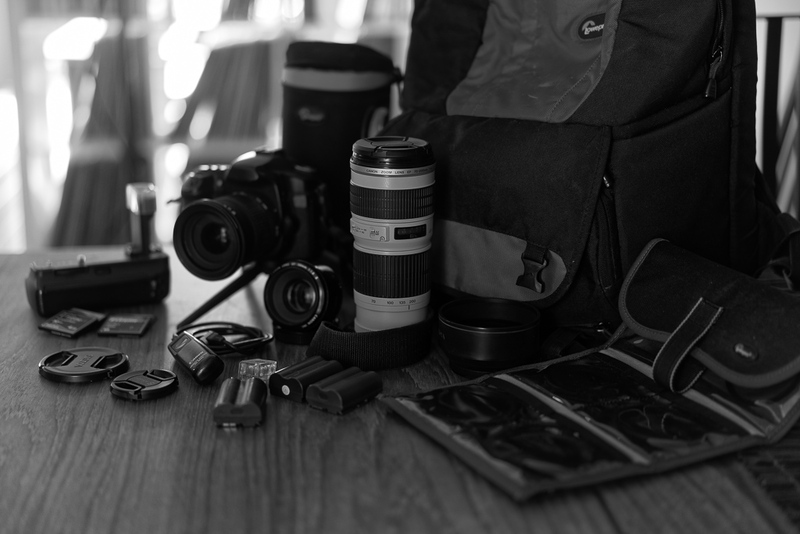 Packing the camera bag: less is more. Buy good gear first, it is cheaper. 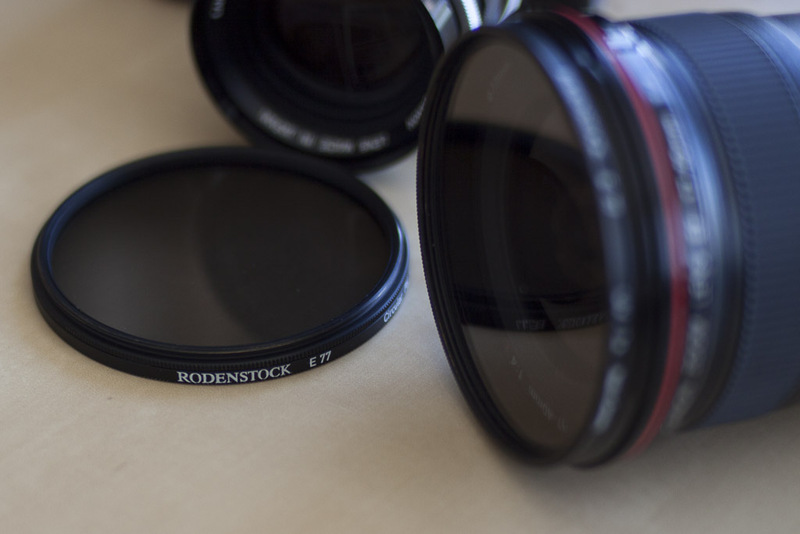 Modern lenses have better optic than classic vintages. Unless you can afford large and heavy premium zooms, look for prime lenses. Participation to Internet Photography Forums is often a waste of time. Becoming one with the camera is more important than what the specifications suggest. See rule #1. Take pictures of people you love. During 2016, I made a conscious effort to carry a much lighter bag, several times with only one lens. I know what you are thinking, just get an 18-200mm superzoom, problem solved. Too many compromises, the quality of the image suffer. 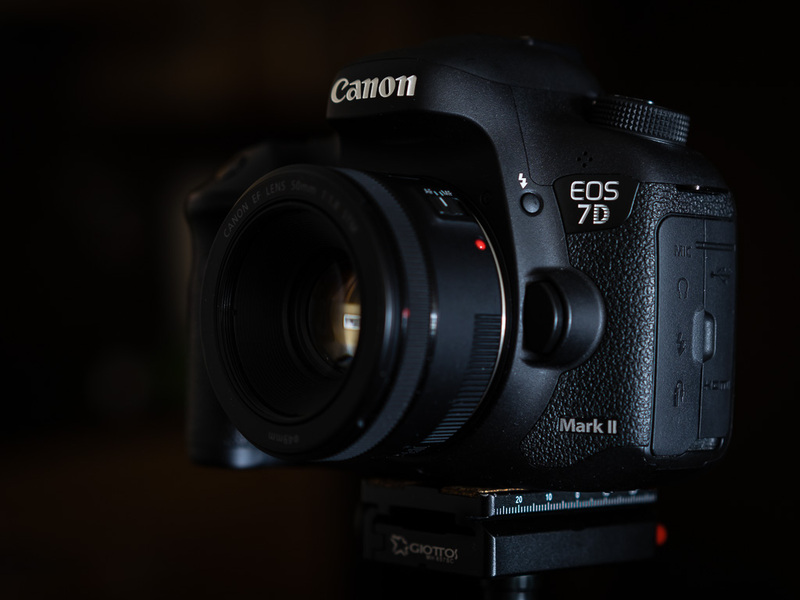 The 7D mkii is a lot of camera. It is responsive, solid, fast and has near perfect ergonomics. Initially an action camera, I often reached for it for other uses. Sure, it does not do 4k, has no WiFi and misses an articulated touchscreen but you know what? I hate fingerprints in my display, don't do selfies, don't need to post my meals on FB and don't care about movies. At 189 $CAN, it is a bargain. It is light, fast and incredibly sharp from f.2.8 to f/11. It is my first goto lens. The EF 70-200 is light with a quick AF. The IQ rivals rivals it's more expensive siblings. It is my second goto lens. When I need reach, I substitute the EF 100-400. The IQ is just as good but it is a lot heavier. On a full frame it is considered an UWA. On the 7D it becomes a wide angle to normal. Many times I feel I carry it just as a PMA. It protects the lenses and helps preventing flare. When dust creeps in and it does more that we like. I am old and forget. Anything else?. Cards are useful to explain why you are taking pictures. 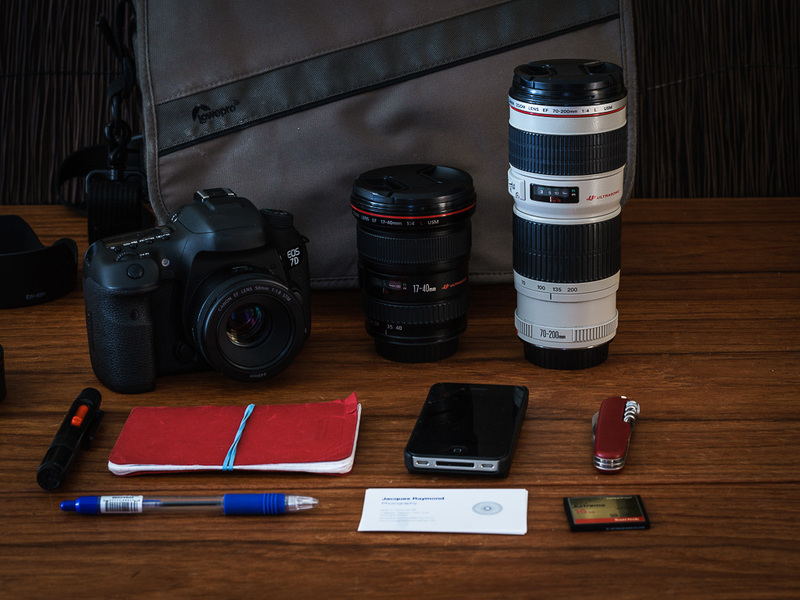 CF cards, batteries, a ubiquitous iPhone and a pocket knife. Not much to comment here other than the knife will be confiscated at airport security. There is a nice site run by Bellamy Hunt, AKA Japancamerahunter. He lives in Tokyo and will source for you cameras and other photographic equipment from Japan. I would definitely trust him before anyone on eBay. You can also find great photography information. If you select In The Bag, you will find camera bags from all around the world. 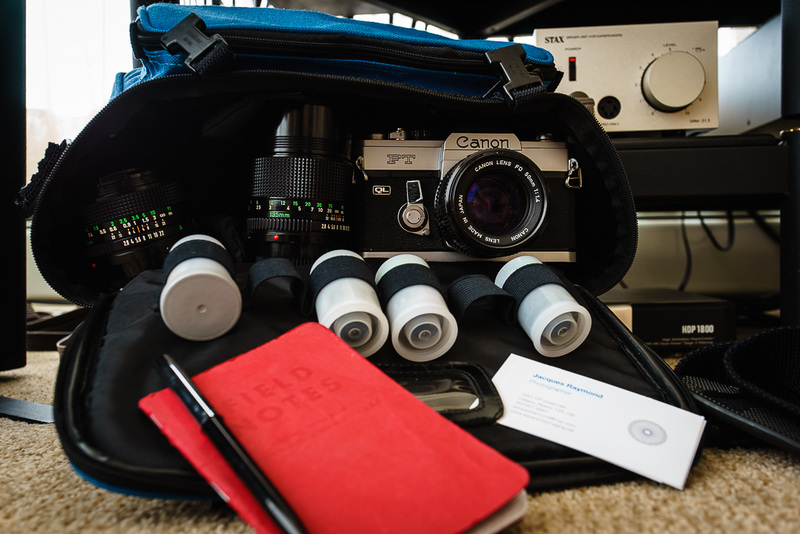 Looking at the cool bags made me wonder why I was not shooting film anymore. Keeping my film camera bodies and lenses in a cabinet certainly did not help. Now I have a film bag ready to go. I even bought some film rolls. It is minimalistic but then distraction won't get in the way. Filters were on the must have list with film but not so much with digital. Software can replicate the effect of most except of the polarizer. The polarizer uncanny ability to remove reflections and to darken the sky makes it the filter for the digital photographer. The UV filter is less obvious. Digital cameras are not affected by the UV light. Still many photographers use them for protecting the lens. I do too but only in "hostile" environment. They make lenses more flare prone. I also observed a slight image degradation when a UV filter is mounted on a lens. Here is the filters list accumulated over the years. I only carry the ones that match the lens I take to the shoot. My preferred brands are B+W and Rodenstock. 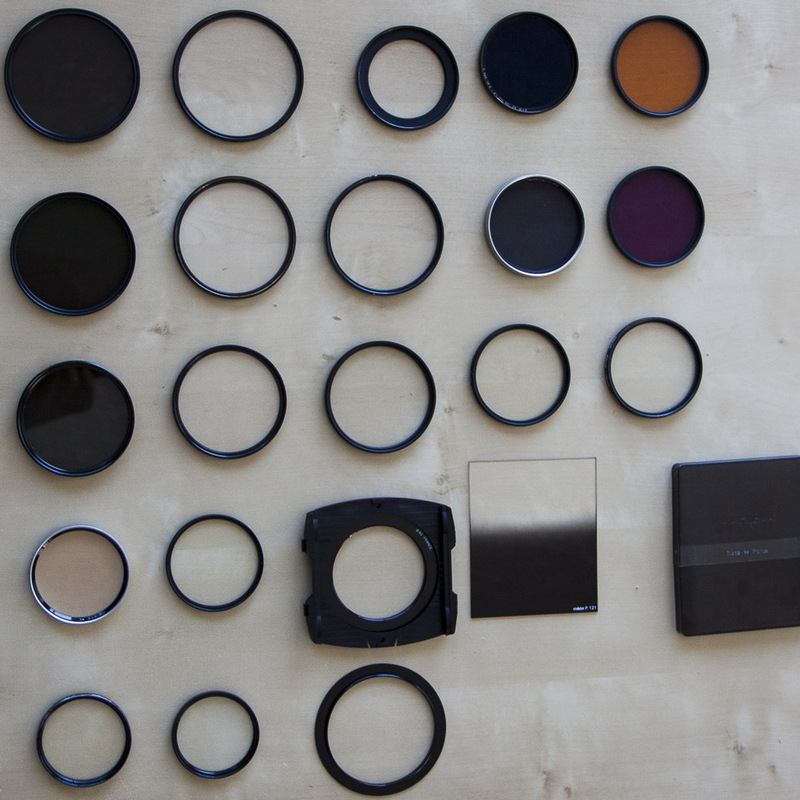 It is not so much for the light properties as for the metal mount quality. Like I said, I try to carry the ones that match the lens I take to the shoot. Looking at all the bags made me wonder why I was not shooting film anymore. Keeping my film camera bodies and lenses in a cabinet certainly did not help. Now I have a film bag ready to go. I even bought some film rolls. It is minimalistic but then distraction won't get in the way. This is my goto bag. It shows its age but it works. Becoming one with the camera is more important than what the specifications suggest. This is how I feel about the Canon 50D. Unlike the 60D and 70D, it is full magnesium alloy, has a multi-controller joystick and not cluttered with video "features". I have yet to find another camera that feels as good in my hand. The Canon EF 50mm f1.8 is always in the bad. It is light and does not use much space. Quick AF and incredibly sharp considering it cost only $125. Occasionally I will add the Sigma 30mm f1.4 if I expect a crowded environment. The Sigma 17-70mm f/2.8-4.5 DC Macro HSM is an amazingly versatile lense. It performs way above what its cost may suggest. It is not too shabby for closeup either. If I could take only one lens with the 50D, it would the one. Buying good gear does not have to be expensive. The Canon EF 70-200 f4.0 USM L is smaller, lighter and virtually as good as the f2.8 siblings. 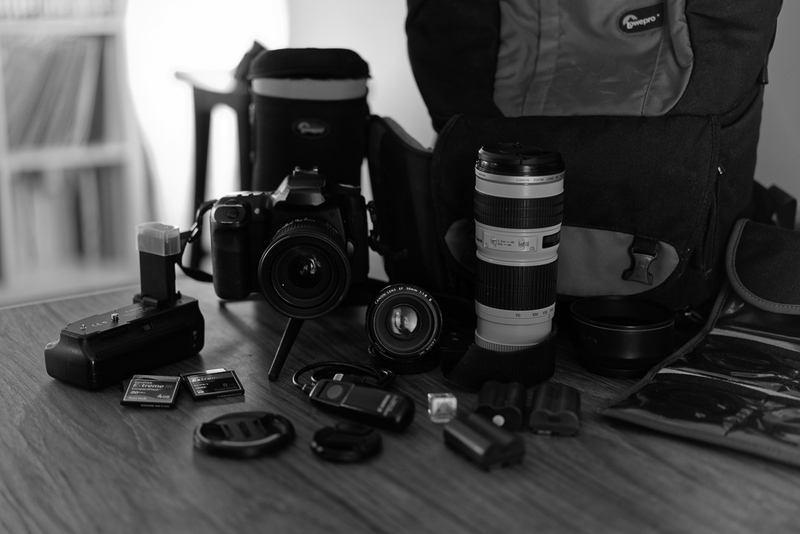 The rest of the bag consist of Rodenstock CPL and UV filters, Canon BP511 batteries, Canon RS80N3 Remote Switch, CF Memory Cards 4GB / 8 GB, Canon BG-E2 Grip and a hot shoe mount Level. When packing the photo bag, remember that less is more. The Lowepro Fastpack 250 is roomy for its size with several compartments, even one for a laptop.